She could be kindly, it is true, and occasionally romantic. But for most of her long film and television career, Hattie Jacques was stern. Playing a never-ending roster of head¬mistresses, matrons and disappointed virgins, the outsize actress became a national symbol of shocked propriety. So her many fans would have been surprised had they known the truth about her private life. Away from the wards of the Carry On films, Hattie was defiantly unconventional and pursued a colourful existence quite at odds with the roles she played – and with the drab monotony of a country still struggling to recover from the Second World War. 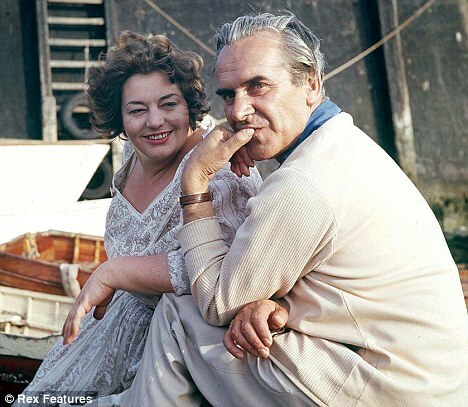 Hattie and John in the 60's with the affair in full swing Large, flirtatious and, in her way, rather beautiful, Hattie Jacques seemed to sail through an ocean of liaisons and relationships. Yet a new BBC film has revealed that, for all her apparent confidence and charm, there was one man who broke Hattie’s heart – a toyboy who callously rejected her, throwing her into despair. Starring Gavin & Stacey actress Ruth Jones, the TV drama entitled Hattie portrays the tempestuous love affair with her Cockney driver John Schofield, which destroyed her marriage to Dad’s Army star John Le Mesurier and left the comedienne a broken woman. Hattie was a buxom 40-year-old at the height of her fame in the Carry On films when she first met Schofield in 1962, after he wrote, inviting her to become patron of the Leukaemia Research Fund. Although she was married to Le Mesurier, 50, by whom she had two sons, Robin, nine, and Jake, six, she was immediately attracted to the charismatic East Ender. He was seven years her junior and on the verge of separating from his wife Brenda. A 28-year-old shorthand typist, Brenda had moved back home with her parents in September 1961 – six weeks after the birth of the couple’s second child, Mark – and after their eldest, John, was diagnosed with leukaemia at the age of just two years and five months. Schofield, a driver for the Harlem Globetrotters, was looking for a distraction. Handsome and charismatic, prompting Barbara Windsor to describe him a ‘gorgeous bit of crumpet’, it was only a matter of time before Hattie succumbed to his charms. One night after a charity benefit, they ended up in bed and embarked on a passionate affair. 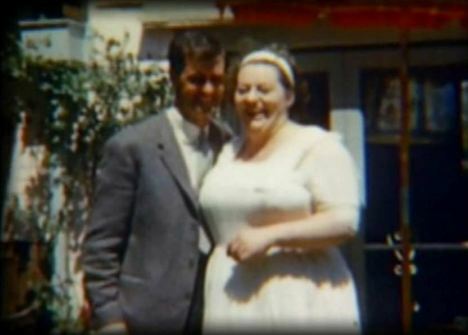 It was Hattie to whom Schofield turned after the death of the four-year-old in May 1963. Now, speaking for the first time, Brenda, 76, says: ‘John was not a good dad – he was never cut out to be a father – but he was a charismatic personality and he broke a few hearts in those days. Hattie’s biographer, Andrew Merriman, describes John as a ‘devastatingly handsome, charismatic East Ender, to whom she was immediately attracted’, adding: ‘He was articulate, charming and funny, and flattered Hattie shamelessly. Within months, Schofield had moved out of his home in Manor Park – he barely saw his young son Mark again – and become a lodger at Hattie’s chaotic marital home, in Eardley Crescent, Earl’s Court – where friends and acquaintances regularly ‘crashed’ in spare rooms. Schofield slept on the sofa when Le Mesurier was at home and shared Hattie’s bed when her husband was away on location. Handsome and charismatic, prompting Barbara Windsor to describe him a ‘gorgeous bit of crumpet’, it was only a matter of time before Hattie succumbed to his charms. The couple’s marriage had been widely viewed as one of the most secure in showbusiness and, for a while, Le Mesurier was oblivious to the affair going on under his nose. After all, Schofield was genuinely popular with the children. ‘Robin and Kim took an immediate liking to this character who played football with them, took them on outings and was much more outgoing than their dad, who they adored but who was much less physically demonstrative,’ says Merriman. It was only when filming the 1964 movie The Moon-Spinners, with Hayley Mills, that Le Mesurier finally realised that something was badly wrong at home. Even then he thought the affair would blow over, hoping against the odds that he could save his marriage. ‘So much was clear to me when I returned from a few weeks on location to find that Schofield was well on the way to acting the part of a surrogate father,’ he writes in his auto¬biography. ‘Certainly the children enjoyed his happy-go-lucky ways and pestered him to take them bowling or on other exciting treats. ‘Hattie tried to make light of the latest change in our domestic routine. After all, we ran an open house with friends popping in unannounced and not infrequently staying with us for days or weeks on end. Le Mesurier found it increasingly hard to cope with the situation and flew to Tangiers for a break. But he fell ill on his arrival and ended up in hospital in Gibraltar with a collapsed lung, pneumonia and jaundice after trying to make his way back home. Hattie immediately flew out to Gibraltar for a week – with her lover – but left her husband to recuperate in hospital when she returned to Pinewood. Le Mesurier realised he had lost his wife to her younger boyfriend. The final straw came when Schofield moved into the master bedroom, moving Le Mesurier’s belongings into a loft room. Yet even then he did not move out. A chance introduction at The Establishment, a drinking club owned by comedian Peter Cook, was to pave the way for Le Mesurier and Hattie’s divorce. Family friend Bruce Copp introduced Le Mesurier to Joan Mallin, a 33-year-old clerk at Marylebone Labour Exchange, who worked in the evenings behind the bar at the Queen’s Theatre in Shaftesbury Avenue and encouraged by Hattie, who invited Joan to a party at Eardley Crescent, they began dating. At Christmas 1964, more than a year after Schofield had moved in, Le Mesurier packed his bags. The pair were finally divorced on August 31, 1965 after more than 15 years of marriage. Ever the gentleman, he had admitted adultery with Joan to save Hattie’s reputation. He and Joan married the following year. After Le Mesurier left the family home, Hattie settled down to a life of domestic bliss with Schofield, who would help her look after the children and take her away for romantic weekends. 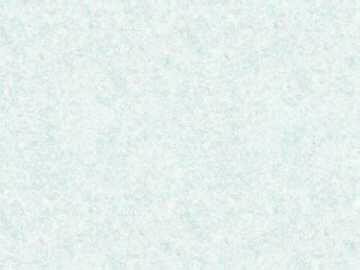 But it was not to last. Supported by Hattie financially – she invested in many of his madcap schemes – he was lured into the music world, trying his hand as a band manager. It was the beginning of the end. Schofield began to try to seduce a number of Hattie’s friends – even trying to woo the newlywed Joan Le Mesurier. He allegedly also became violent towards Hattie – although he never hurt his first wife. Bruce Copp, who ran the Chelsea restaurant The Hungry Horse, remembered Hattie going to visit him, in dark glasses and a headscarf, with a cut below her eye. She subsequently admitted that Schofield had hit her. Le Mesurier also recalled her visiting him in hospital with a black eye. ‘Hattie arrived one morning with some mail and magazines, coupled with the good news that I was going to be let out in three days, time,’ he wrote. ‘She was wearing a pair of dark glasses. She said that she had bumped into something and given herself a black eye. I knew better. The end came during the summer of 1966, just months after Le Mesurier remarried. Hattie was filming The Bobo in Rome, with Peter Sellers and his wife Britt Ekland, leaving Schofield at home looking after the children. When he visited her on location, they had a huge row, in which Schofield admitted he had fallen in love with another woman. The moment is dramatised in Hattie, with her sitting on the edge of a rumpled bed in an ornate hotel room in Rome, flowers strewn around her feet and a champagne bucket kicked over on the floor. Back at home, Hattie was admitted to hospital with a kidney infection. Visiting her in hospital to tell her their relationship was over, Schofield flung a gold medallion she had given him, inscribed with the words ‘I love you’ on to her hospital bed and stormed out, neglecting to collect his possessions from Eardley Crescent or even to say goodbye to her sons. 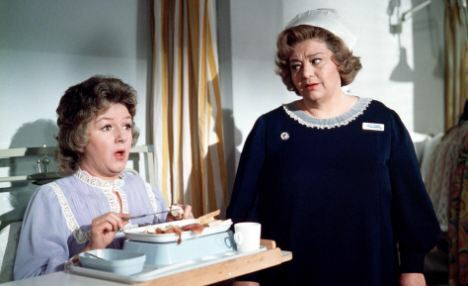 Carry On Matron: Hattie Jacques playing her most famous character alongside Joan Sims in the 1972 film Heartbroken by his callous rejection, Hattie remained inconsolable, sobbing down the phone to friends. She slimmed down and placed a lonely hearts’ advertisement in a magazine, but she was destined to remain alone. For his part, Schofield concentrated on his career as a music manager, signing the rock band East Of Eden, which went on to have a Top 10 hit with Jig A Jig. He married ‘the other woman’ – his private secretary Anne Spencer, who was 14 years his junior – at St Pancras Register Office, on June 18, 1969, and tried to settle down to a quieter life. But The Mail on Sunday has discovered that he could not remain faithful to her, either. Despite his previous behaviour, Hattie regularly met Schofield for passionate assignations during the Seventies. But by the time Hattie died of a heart attack in 1980, aged 58, Schofield, by then 51, appears to have become a reformed man. A keen fisherman and sailor, he moved from Hertfordshire to Brixham, in Devon, where he had holidayed with first wife Brenda when they were courting. Here he settled happily into a life of anonymity, doing The Times crossword and pottering around the seaside. 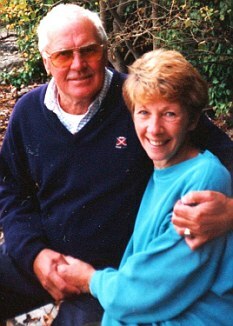 He died at Torbay Hospital on January 23, 2003, shortly after celebrating his 33rd wedding anniversary. He suffered a stroke, after having been struck down by a rare virus, which damaged his heart and lungs. ‘John did the crossword every day, his widow said after placing a death notice in the newspaper,’ said a close friend. ‘He used to say, “I’ll just check the obituaries to start to see if I’m still here.” He had a wicked sense of humour and I knew he’d enjoy the joke.